The typical Roman-era helm is quite protective on its own, but this Von Gravert Helmet adds a few features and enhances others, all with the intent of giving added protection, as well as enhancing the look of the Roman soldier who wears it. This simple yet effective helmet features a raised cross-shaped ridge along the crown of the helmet, which adds strength and durability to the helm, while also helping to divert impacts down the side of the helm and away from the center of the skull. A visor is attached to the front, along with shirt spiked protrusions, which helps to protect the wearers face. Large cheek protectors are attached via hinges at the sides of the helm and add additional protection to the face and chin, while leaving an open gap for the wearer to see. The back of the helmet slants down slightly against the wearers neck, providing protect from the back as well. 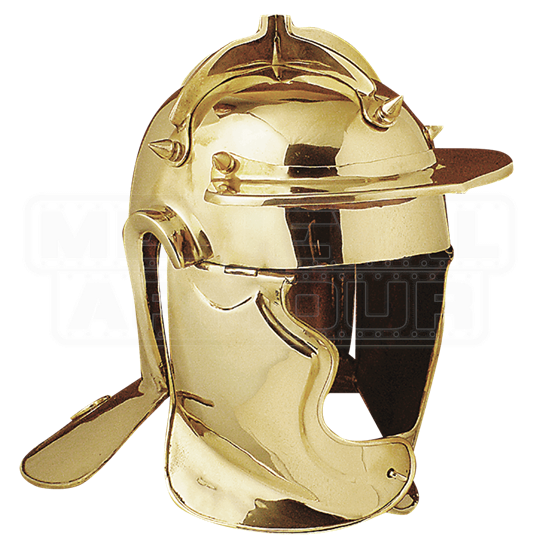 This attractive helmet is made from quality metals and features an incredible looking metallic finish similar in appearance to polished brass. 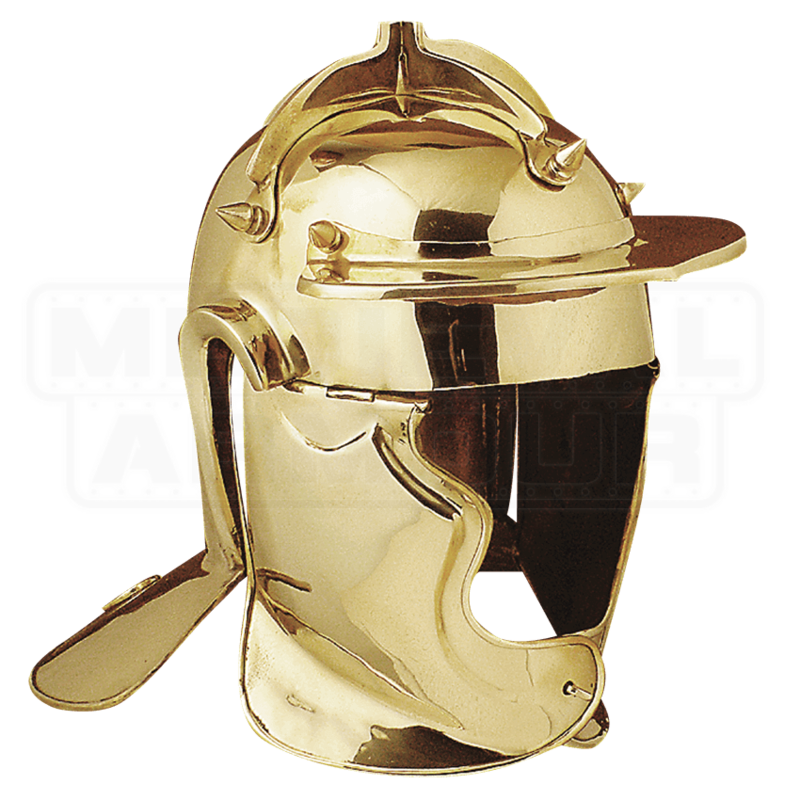 Don this Von Gravert Helmet when you ride into battle with your Roman cohorts and your enemies will cower in fear and flee before you, or proudly display this impressive helmet in your own collection of arms and armors where others will have the chance to admire its splendor.